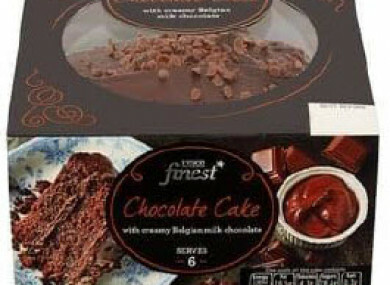 A RECALL HAS been ordered of a batch of Tesco brand Finest Chocolate Cake as some contained undeclared walnuts. Tesco is recalling the batches of Finest Chocolate Cake with the batch code D32/18003 and the best before date of 17 January 2018. The supermarket chain said that some of the cakes have been incorrectly packed with carrot cake. The carrot cake contains walnut which are undeclared on the label. “This may make the batch unsafe for consumers who are allergic to or intolerant of walnuts,” the Food Safety Authority Ireland (FSAI) has said. The brand of chocolate cake in question is available for purchase online and in Tesco supermarkets across Ireland. The FSAI announced the recall on its website this afternoon. Email “Tesco chocolate cake recalled as packaging doesn't outline it contains walnuts”. Feedback on “Tesco chocolate cake recalled as packaging doesn't outline it contains walnuts”.